SBS 9 Highlines & Highballs Results! + Thanks DBC! 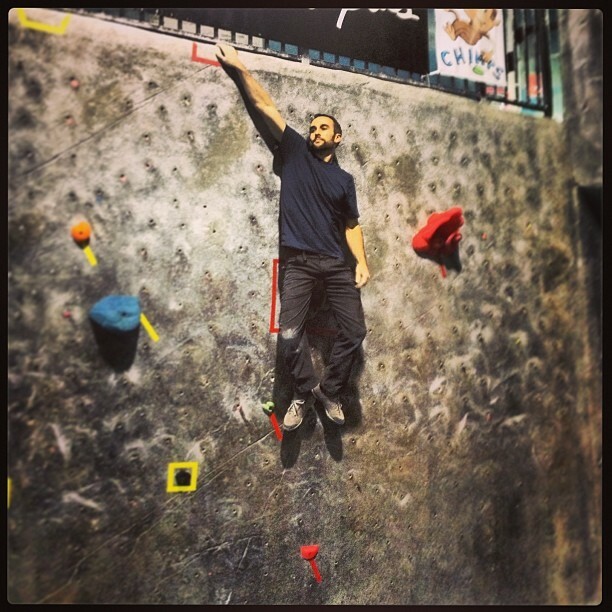 Danny testing out one of the Advanced problems while taking a phone call. 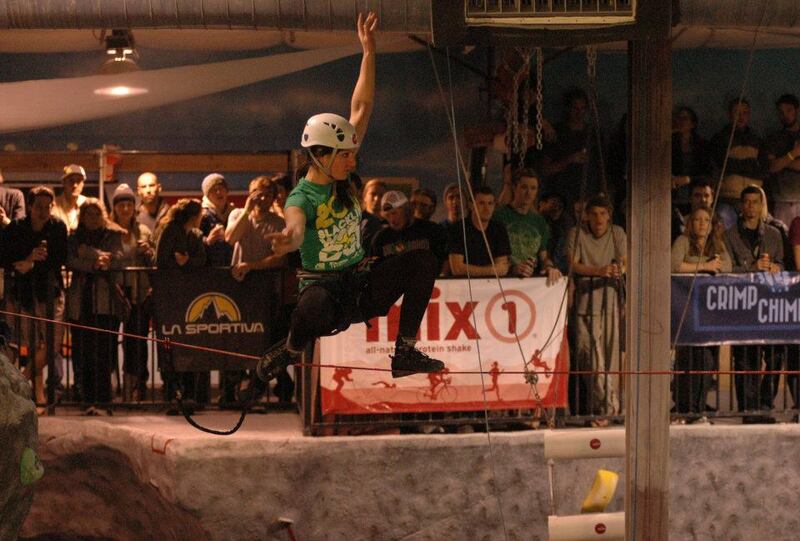 The Highlines & Highballs comp went off last night and by all accounts it was a roaring success. 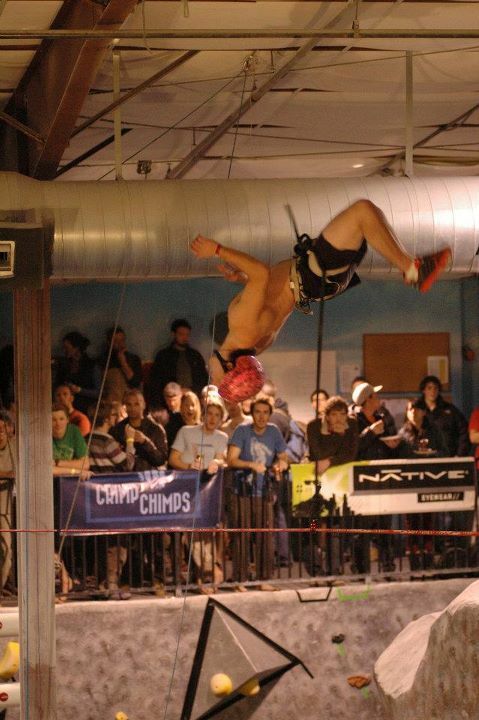 Beer was drunk, burritos were eaten, prizes were won, problems were climbed, and highlines were styled. We would like to congratulate our pro final winners Michael O’Rourke and Delaney Miller for their decisive sends of the finals problems. For the men, Nick Milburn also finished the final but took second overall due to having one more fall than Mike in qualifiers. 15-year-old Shawn Raboutou took third with an amazing flash go in which he did an impressive rose move and fell going for the last hold. 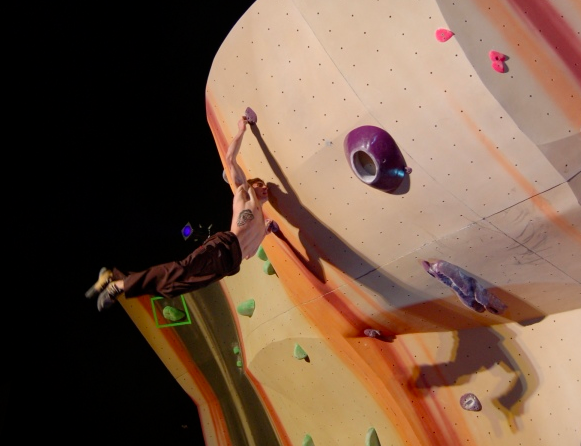 For the women, Nina Williams managed to match the last sloper but was unable to jump for the finish, so she took second. 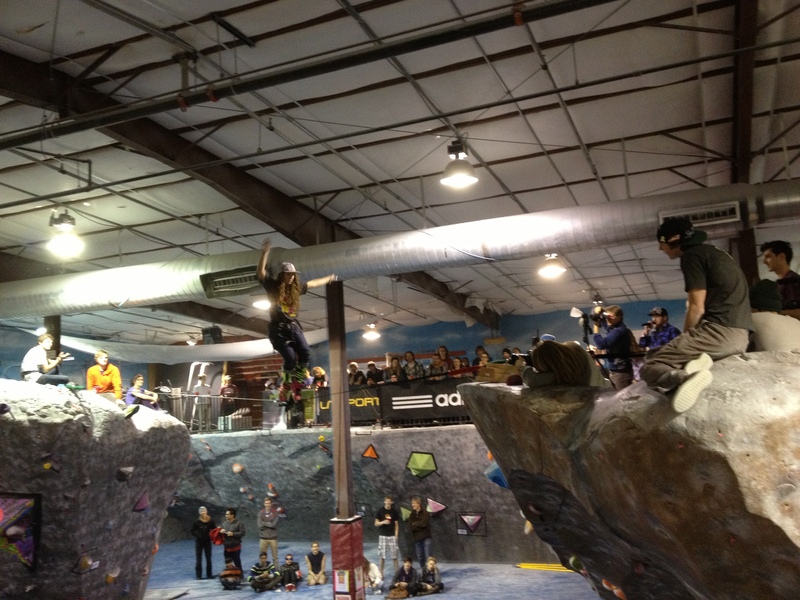 Lizzy Asher got the last sloper with one hand and ended up in third. General comp results and full pro final results can be seen here: Highlines Highballs Results If you have questions or corrections, please email events@thespotgym.com. There were many photographers on hand as well as a video team, so expect to see more media soon. 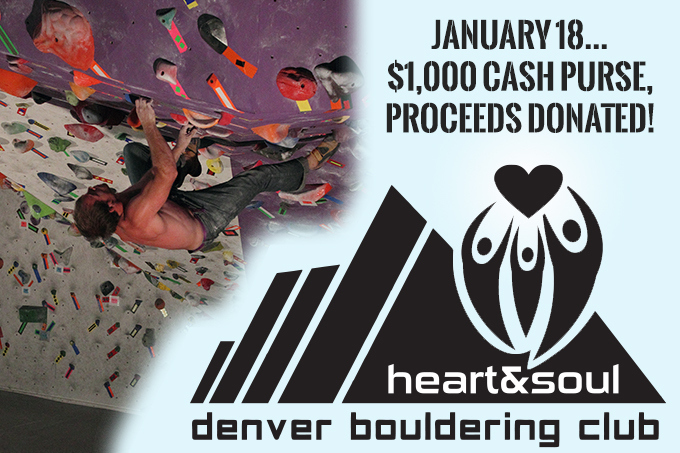 We’d like to send a huge thanks to our friends in Denver, The Denver Bouldering Club, for sending up their head setter TJ Kelly to help with our comp. 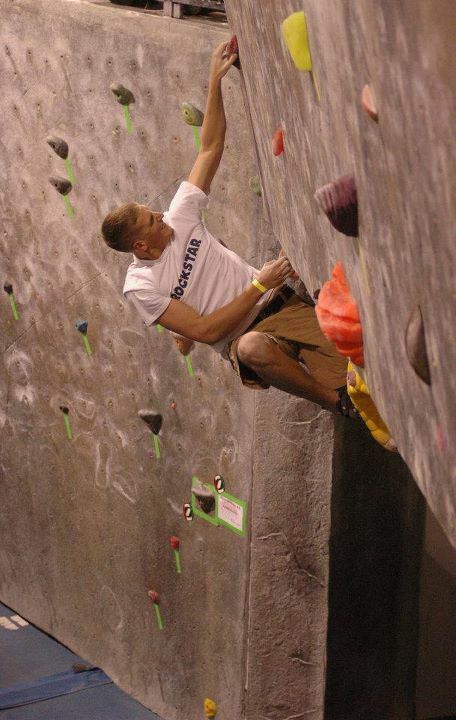 DBC setter John Gass has helped at our last two, and as John was unable to be here for this event TJ stepped up. 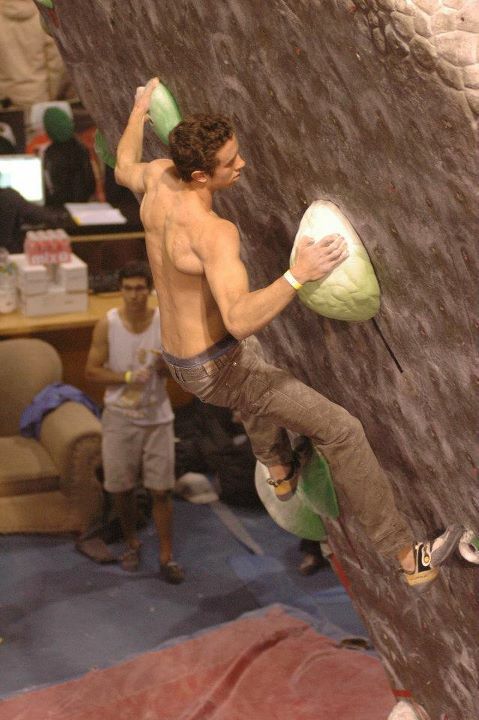 He set some awesome boulders–two recs, an intermediate, an advanced, and O10, and we were really happy to have him. Thanks TJ! 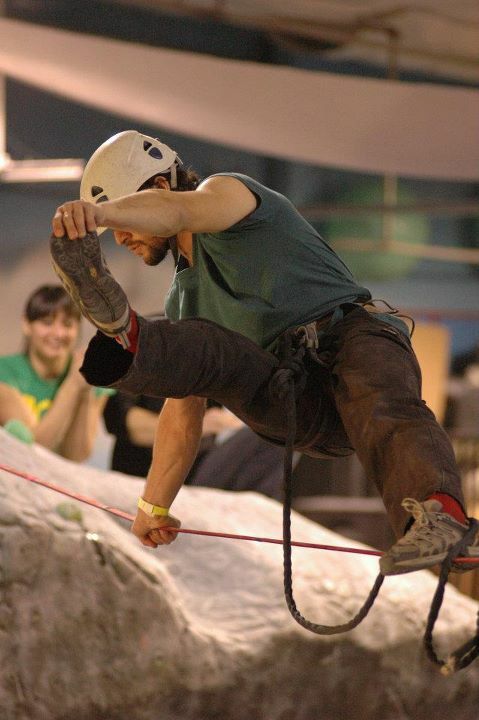 Highballs & Highlines More Pictures! Matty Hong sticking the swing to flash the final. Rob D about to hold the swing that would win him the comp. Matty pressing into the corner before the jump to the volume. Photo by Ryan Nadlonek. Matty holding the swing from another angle. By Ryan Nadlonek. Isabelle Goodacre staring down the long move on the Women’s final. Matt Lubar in his second SBS Final! More photos on The Spot Facebook! (click the link in the right sidebar). Remember this guy? 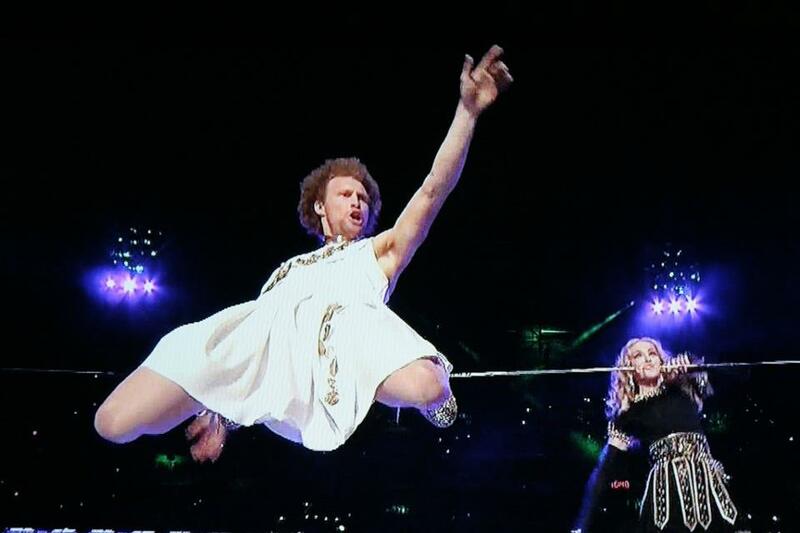 Slackliner Andy Lewis at Super Bowl 2012 Halftime Show with Madonna! Sketchy Andy, aka Skandy, with Madonna. Pretty Crazy, huh?